Exclusive photos taken on the set of "The Nativity Story, " together with scripture from the New Living Translation, present the story of Jesus' birth in vivid detail. Similar to "The Passion, " this gift book presents the most memorable and magical scenes from the movie. "The Nativity Story" tells the extraordinary tale of two common people, Mary and Joseph, a miraculous pregnancy, an arduous journey, and the history-defining birth of Jesus. Driven by powerful moving images and told through the Scriptures, this book will enhance the movie experience. 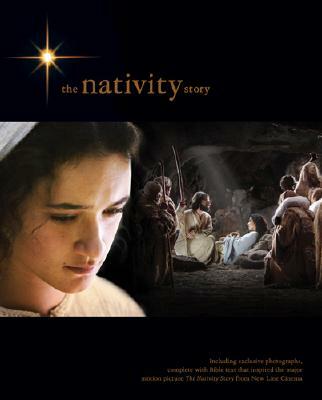 "The Nativity Story, " directed by Catherine Hardwicke "(Thirteen, Lords of Dogtown), " written by Mike Rich "(Finding Forrester, Radio, The Rookie)" and starring Keisha Castle-Hughes (nominated for an Oscar for best actress for her role in "Whale Rider") as Mary opens on 3,000 screens nationwide December 1, 2006. The film is currently in production with locations in Matera, Italy, and Morocco. New Line Cinema is the most successful independent film company in the world. A pioneer in franchise filmmaking, New Line's Oscar-winning The Lord of the Rings trilogy is one of the most successful film franchises in history. 96 pages, hardcover with jacket makes an excellent gift or coffee table book.